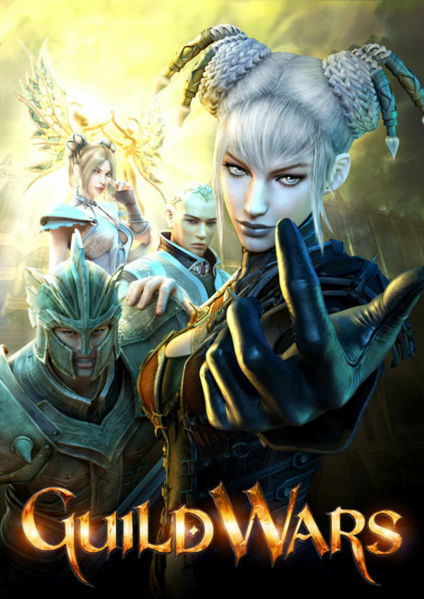 1 The site http: http://www.guildwars.com/support/downloadclient/ download the game client. 2 to install and run the client. In the drop-down box, select the link Create Account or Add Access Key and enter the resulting trial cd-key. 3 All! Enjoy the game. Playing Guild Wars takes the best from existing MMORPG games, creating a unique gameplay, devoid of the boring elements that were present in its predecessors. With the new dynamic quest system you will experience unprecedented freedom in changing the world. Now you do not have to spend endless hours on leveling! Become a fascinating battle with other players can be from the beginning, creating the character of the maximum level in the start menu of the game. You do not need to waste time, to reach the beginning of the quest, because Guild Wars will instantly be transferred to the top of any open job. You can start the game as a character of the first level, pumping his own and completing various quests and character maximum, proceed immediately to PvP-battle. A unique skill system guarantees extraordinary freedom in creation and development of character. Guild Wars will not get bored for a minute. All you need - is to create a party in one of the many towns and villages and go out for an adventure! One infinite world: all the characters of the game live in the same world, regardless of which servers are the players. A unique map of the world: each party has its own map of the world, so camping and theft of trophies you do not get any! The great freedom of choice: create your character using a variety of parameters, and 150 unique skills that can be combined to reach the required combinations and effects. Gameplay imprisoned under the regime of PvP (Player versus Player): You'll be able to create a character maximum and plunge into the multiplayer madness on special arenas. Unique Management Guild: Guild may cause competitors to fight, fight for control points on the global map. In addition, you can create a unique emblem for your guild. No need to upload new patches: update software loads automatically during how you play. Try before you buy !! !